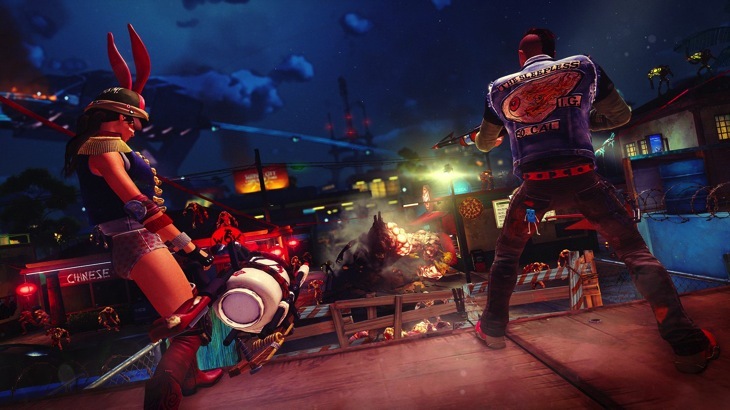 Sunset Overdrive wasn’t on my radar before E3 – yes, the guys had raved that it looked good, but it wasn’t until I saw how much of a bizarre mix between Dead Rising and Tony Hawk it is that I got excited. The co-op mode, Chaos Squad, looks like a lot of fun, too. For the non-video viewing among you, you take your character from single player into Chaos Squad through a phone booth in game – your character, with all your personalization and customization, joins up with seven of your closest Xbox friends for some co-op. This co-op mode is different to the one that Darryn told you about (and showed off) during E3; players vote on missions that they want to complete, and as they are completed it changes what the final part of the Chaos Squad mode will present. At the culmination, called Night Squad, your squad must defend against a giant onslaught of mutants – you can even place traps, adding in some elements of tower defense. The number of types of mutants depends on the missions completed, making each play through of Chaos Squad unique… at least in theory. I sense that most groups of friends will find their preferred missions and just complete those repeatedly. The more I see of this game, the more it looks like an absolute romp. It’s goofy and off-the-wall, and looks like a ridiculous amount of fun. As an Xbox One exclusive, I wonder how much it will help to ship units – I certainly want to play this, but I’m not sure how much of a factor this exclusive will be in selling consoles.